Dr. Intille is an Associate Professor in the College of Computer and Information Science and Bouvé College of Health Sciences at Northeastern University. His research focuses on the development of novel healthcare technologies that incorporate ideas from ubiquitous computing, user-interface design, pattern recognition, behavioral science, and preventive medicine. Areas of special interest include technologies for measuring and motivating health-related behaviors, technologies that support healthy aging and well-being in the home setting, and mobile technologies that permit longitudinal measurement of health behaviors for research, especially the type, duration, intensity, and location of physical activity. Dr. Intille received his PhD from MIT in 1999 working on computational vision at the MIT Media Laboratory, an SM from MIT in 1994, and a BSE degree in Computer Science and Engineering from the University of Pennsylvania in 1992. He has published research on computational stereo depth recovery, real-time and multi-agent tracking, activity recognition, perceptually-based interactive environments, and technology for healthcare. Dr. Intille has been principal investigator on sensor-enabled health technology grants from the National Science Foundation, the National Institutes of Health, foundations, and industry. 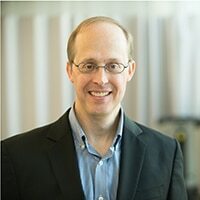 After ten years as Technology Director of the House_n Research Consortium at MIT, in 2010 he joined Northeastern University to help establish a new transdisciplinary PhD program in Personal Health Informatics, which he currently directs.